This trail aimed investigate the benefits of the use of wastes such as hazelnut husk and rice hull composts in organic strawberry cultivation and their effects on productivity and fruit. The research was carried out in the Ondokuz Mayis University’s (OMU) Faculty of Agriculture Research and Practice garden in Samsun in 2010 and 2011. 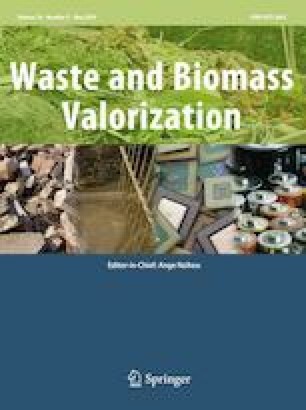 In the research, effects of some organic wastes (hazelnut husk, hazelnut husk compost, rice hull, rice hull compost and farmyard manure) on yield and quality of strawberry cvs. “Camarosa”, “Sweet Charlie”, “Redlands Hope” and “Fern” were examined. In the experiment, yield per plan (g/plant), amount of rotten fruits (g/plant), fruit weight (g), total soluble solid (TSS) (%), titrable acid content (%) and vitamin C content (mg/100 g) were examined in order to determine impacts of organic wastes on yield and quality. No statistical difference could be established with regard to yield criteria among organic wastes in the experiment. Different organic waste practices have occasionally had significant impacts on some properties of fruit quality. In the experiment, the heaviest fruits were obtained from garden soil (S) and hazelnut husk compost (2010) application; the highest TSS content was obtained from the S and hazelnut husk compost (2011) applications and the highest vitamin C content was obtained from the hazelnut husk compost (2010), garden soil (2011) and hazelnut husk compost applications in 2011. We would like to acknowledge and thank Prof. Dr. Sezgin Uzun. We also thank Dr. Beril Ersoy Kocaman and doctoral student Dilek Kose for their assistance throughout the study.